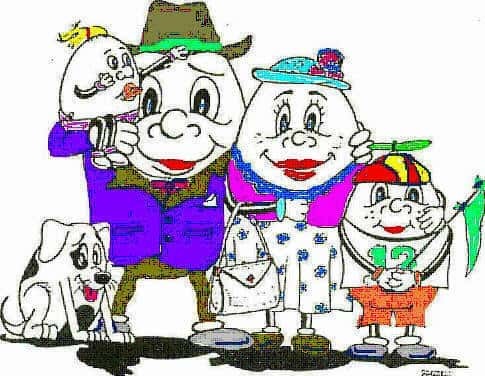 Stuart’s annual Good Egg Days festival is just two days away. The weekend festivities will be filled with lots of entertainment for the whole family, particularly in the evening hours on Friday. 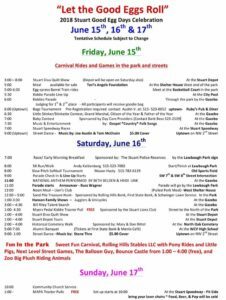 The Kiddies Parade starts things off at 6pm, going through Lawbaugh Park and past the gazebo. There will be judging for 1st and 2nd place participants, and all participants will receive a goodie bag. There will also be a bags tournament at 6pm outside Ruby’s Pub and Diner, with pre-registration required. 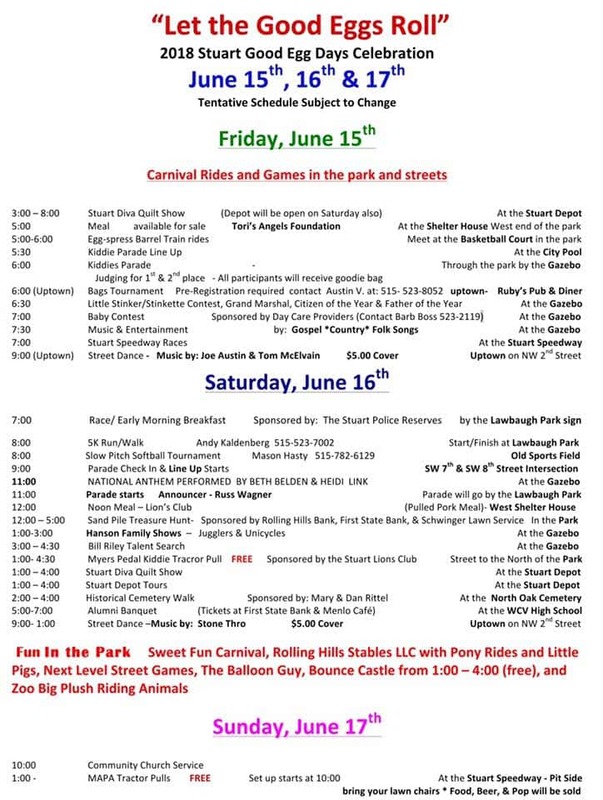 At 6:30, the Little Stinker and Stinkette, Grand Marshall, Citizen of the Year, and Father of the Year will be honored at the gazebo. The events at the gazebo conclude with the baby contest at 7 and gospel “country” folk songs at 7:30. Friday night wraps up with races at the Stuart Speedway at 7 and the street dance along NW 2nd Street. Music for the dance will be provided by Joe Austin and Tom McElvain and the cost to attend is $5. There will also be a street dance on Saturday night at 9pm. The cost is once again $5 and features Stone Thro.